Depression – a ten-letter word that is just as uncomfortable to hear as a four-lettered one. This mental disorder pulls one’s mind from side-to-side, up-and-down without any notice. There are countless factors that can drag the mind into this place. Depression doesn’t discriminate either, it effects all walks of life. 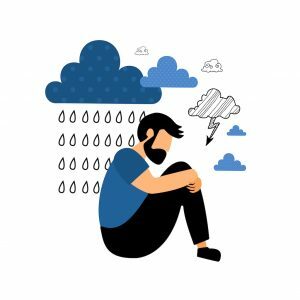 In 2018, 16.2 million adults in the United States experienced a major depressive mode within the last year. It’s a part of life that others struggle with on a regular basis and you’re not alone. Some find that medication is the most helpful, but why not give a drug-free alternative like Hypnosis for Depression a try? Facing anxiety and depression can feel like an endless road. Up one day and down the next or even worse: weeks on end of dealing with both emotional and physical symptoms. In most cases, the key to resolving this resides within the subconscious mind. Hypnosis can help to address and move past those feelings and memories that continually stay active yet only surface consciously as symptoms. Hypnosis for Depression works within the subconscious realm where it can heal and provide true results instead of simply masking the symptoms. Therefore, many clients are concentrating more on Hypnosis for Depression. Traditionally, modern solutions are to treat the symptoms of these conditions with medications. Many of these medications have mild to severe side effects. They’re often supplemented with conventional talk therapy that spans months or years and may not provide any lasting results whatsoever. The reason that conventional talk therapy is limited in its effectiveness with depression and anxiety is that these treatments only work within the conscious mind; that’s no where these emotions live. The lack of progress with conventional psychotherapy can lead to more despair as people become frustrated by their lack of progress. This can cause the patient to feel even more hopeless. Depression stems from many facets of our day-to-day lives. Unfortunately, it can become difficult to pinpoint the causes when you’re caught up in the noise of it all. That’s why Hypnosis for Depression professionals want you to review these 5 main causes of depression and how you might be affected. Medications – If having other medicinal needs, side-effects can typically mean depression like symptoms. Conflict – Having to deal with conflict is a major factor for most. This can be with family members, significant others or coworkers/bosses. Death or Loss – A death or loss is a natural part of life but can throw people for a mental spin. It’s an event most aren’t prepared for which is why depression takes one off-guard. Genetics – A family history that holds depression can be a driving factor in your mental state. While considered a complex trait, the depressive genetic trait varies throughout the family line. Major Events – Graduating, marriage, moving or a new job can bring on depression. While positive in nature, these events can bring on thoughts about the future or the nature of their current being. Hypnosis for Depression is a great, drug-free alternative to finding happiness. However, there are ways for you to achieve happiness along with hypnosis. Here are five ways you can achieve happiness and push through depression. Believe – As cliché as it may sound, believe in yourself. Believe that things will get better than they are at this very moment. It’s about realizing you don’t want to live a certain way and believing you can overcome it. 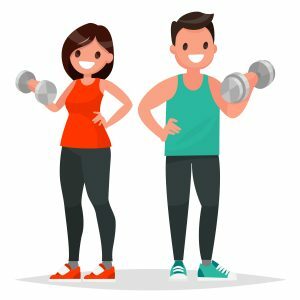 Get Moving – Exercise is a marvelous activity that will not only help your mind, but your body. It’s a natural anti-depressant that helps the mind work out issues differently and keep you from dwelling. Be Grateful – Getting lost in negative thoughts is easy; it’s the domino effect. Although, it’s just as easy to think of positive thoughts. That’s why Hypnotherapy of North Georgia wants you to be thankful ad grateful for what you have. This means starting simple and going bigger. Things as simple as a hot shower, a meal, or even a smile from a stranger. Help Others – Volunteering and doing small favors can make a world a difference when feeling blue. While all communities having unique activities to take a part in, it’s completely up to you. It’s amazing how one small act of kindness can give perspective and ease your worries. Trust The Process – Quitting seems much easier than trying sometimes. Hypnosis for Depression experts say that should be a passing thought. Dedicating yourself to the process will not only make the process simpler but make the result more valuable in the end. Hypnosis for Depression provides rich, sustainable, long-term results because it addresses these emotions where they live: in the subconscious mind. As a truly results-driven treatment, those engaging in hypnosis therapy can experience noticeable changes in just a few sessions with real, permanent changes occurring in 10-15 sessions. Battling depression can be a hard fight to push through. Why not make it easier on yourself by giving Hypnosis for Depression a try? Hypnosis For Depression with Hypnotherapy of North Georgia is the best solution for keeping a calm mind and having a drug-free alternative to controlling your depression. Contact Us or call us 678-336-1705 to schedule your consultation today so you can have more stress-free, happier days with Hypnosis For Depression!